Revelation 13 describes two beasts that will rise up and take power in the end times. The first beast, referred to in the Bible as the beast, is a political power that will rule over the earth in the end times. The second beast is the Antichrist. Read more about the Antichrist here. Revelation 17:8-12 contains a more in-depth description of the beast. It is clear that the beast will be a kind of union of different nations and political powers that work together as one. Their goal is to rule the earth independently, completely free of God. The beast works together with the harlot, a spirit power who works to corrupt the gospel and turn people away from the truth. The harlot mixes Christianity with the world, preaching that people can live both for God and for themselves at the same time. She represents all of the false churches in the world. The relationship between the beast and the harlot is mutually beneficial but at the same time they hate one another. The harlot gives the peoples of the world a nice, feel-good religion and helps pacify them and keep them in line. In return the beast gives the harlot money and support from the government. Read more about the harlot here. The beast also works closely together with the Antichrist (the beast from the earth, Revelation 13:11-12). The Antichrist exercises the authority of the beast and aims to make all the people of the earth worship the beast. Both of these spirits are at work in our time today. (1 John 2:18) However neither of them has reached their full strength. As long as the bride of ChristThe bride of Christ are all those who have purified themselves as He is pure and have been conformed to His image. (Romans 8:29) They cleanse and purify themselves of all sin and are true followers of Christ. 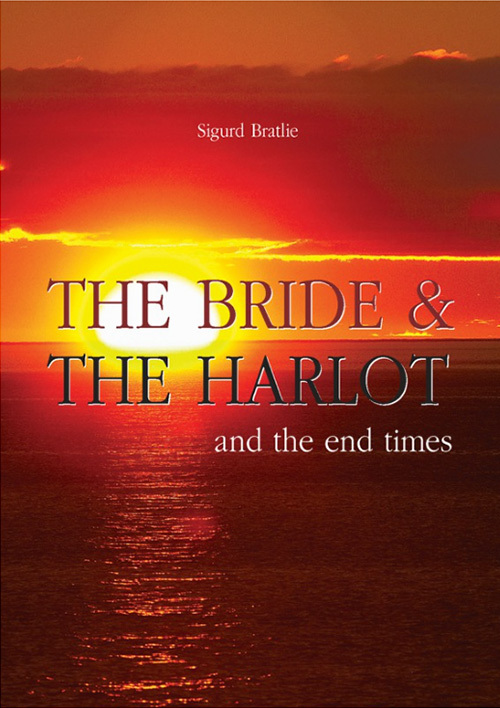 The Bride is another term for the church of Christ.... More is at work on the earth she will limit the development of Satan’s servants. The mind of the bride of Christ is the path of humility; serving God in all things instead of doing her own will. (Philippians 2:5-8) The mind of the beast and the Antichrist is the path of exaltation; serving their own interests only and rejecting God. (2 Thessalonians 2:3-4) When the bride is raptured then the Holy Spirit, who works to restrain the beast and the Antichrist, will also leave the earth. (2 Thessalonians 2: 6-8) This gives the beast and the Antichrist the opportunity they need to seize absolute power on earth. “For when they say, ‘Peace and safety!’ then sudden destruction comes upon them, as labor pains upon a pregnant woman. And they shall not escape.” 1 Thessalonians 5:3. It will seem like the beast is fixing a lot of the world’s problems but at the end, destruction will come upon them. After the bride of Christ is raptured up to heaven the beast will see his opportunity for total power. Now there is nothing stopping him from casting off the harlot and all forms of religion once and for all and seizing the world for himself. (Revelation 14:8, Revelation 17:16) He will speak “great things and blasphemies” against God, and will be permitted to do so for three and a half years. Now, together with the Antichrist, he will declare himself as the ruler of the world and force everyone to bow down before him. (See Revelation 13-14 for more. Read more about the Great Tribulation here. Christians will be persecuted and pressured to abandon God. The ideals that the beast preaches to the masses are complete and total humanism. The “religion” of the day will be to worship humanity, and by extension, the beast himself. (2 Thessalonians 2:3-4) The goal will be the instant gratification of base human desires and instincts. When God created man He created the body out of the earth but the spirit was breathed into the body by God. It was a separate part and just as the body needs earthlyRefers to everything of this earth, as opposed to heavenly things. Example: Earthly treasures/heavenly treasures. The earthly things pass away (are temporal), but the heavenly things are eternal. (Matthew 6:19-21; Colossians 3:2; 1 John 2:17)... More nourishment to live, the spirit needs spiritual nourishment. It is written that, “Man shall not live by bread alone, but by every word that proceeds from the mouth of God.” Matthew 4:4. However the beast is only concerned with bread and not the spiritual nourishment. All thoughts of God will be forgotten or outlawed. The beast’s goal is to show that humanity does not need a god, that they can manage quite well without one. The beast will be permitted to rule over the earth for three and a half years. (Revelation 13:5) But when this time is up, it is enough. Jesus will come back to the earth with the armies of heaven and tear down the beast’s regime. Both the beast and the Antichrist will be thrown alive into the lake of eternal fire. Their followers will be killed with Jesus’ sword. (Revelation 19:20-21) Satan, the beasts’ master, will be captured and bound with chains in the bottomless pit for a thousand years. Read more about the second coming of Christ here. This marks the beginning of a new era of peace and prosperity called the Millennium. Read more about the Millennium here. It is not difficult to see that the conditions of the world are growing steadily worse as time goes on. The governments of the world are also growing more and more united. Though this in itself is not necessarily a bad thing, the spirit in this “unity” is that humanity ultimately will unite and manage by itself, without God. This means they will follow their own lustsThe desires that we experience that go against God’s will. In other words, a desire for anything sinful. See James 1:14. Also called “sin in the flesh.” Although the expression “youthful lusts” is often thought of in connection with sinful sexual desires, lusts include anything that go against what is good and right in God’s eyes. (2 Timothy 2:22.; Galatians... More, thus in reality carrying out Satan’s will and purpose. It is a spirit of absolute godless pride. What a wake-up call this should be for us! The world teeters on the brink of utter ungodliness but now is still the time of grace. Now there is still time for us to serve God and to live according to His laws while we are able. Life under the reign of the beast will be a terrible ordeal and the best thing a servant of God can expect in that time is to die as a martyr. That is really a terrible consolation prize when you think about the offer we have now! To be a faithful servant of Christ, to prepare ourselves as His bride and to be raptured up to heaven to be with Jesus! 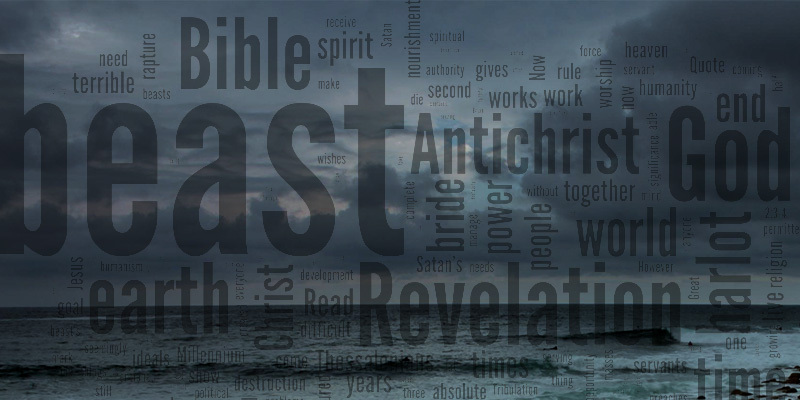 You may be interested in reading more in our series of articles on the end times.